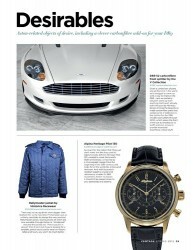 The Vantage magazine highlighed our DB9 carbon fiber parts in their Desirable section in the Spring issue. 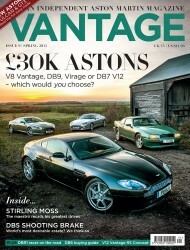 The issue focuses of Aston Martin cars avialbale in the United Kingdom for under £30,000.00, as well as the new V12 Vantage GT3 track orientated production car. 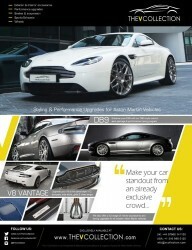 The Vantage magazine is published and printed in the UK and is distributed to Aston Martin dealerships, enthusiasts and owners. The magazine also featured the new V Collection look marketing campaign for 2015.